decor or furniture. You must protect these sensitive items by regulating the humidity in your home. 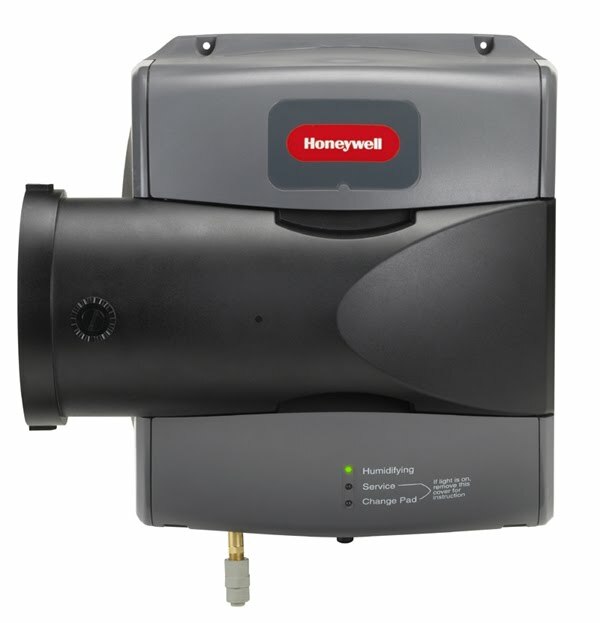 Honeywell's TrueSteam units are the ultimate in that protection. Traditional drum type humidifiers store water on their drum pads which are very susceptible to mold and mildew, this would be pulled through your furnace ducts and supplied directly to your living space. With these steam units this is not an issue as the steam is pure distilled water vapour so there is no chance of any contamination from stale water. Of course there is one draw back to these units, that is that because they are distilling the water the "solids" are left in the unit, because of this normal tap water cannot be used in them. Where ever these units are used they must be fed with water that has gone through a water softener, making them not for every home. 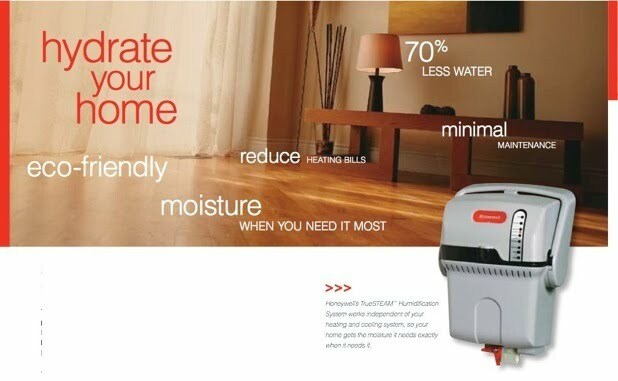 When softened water is not available we prefer to use the Honeywell TrueEase flow through type humidifier. These units have very easily accessed humidifier plates, and use substantially less water than their competition. Indicator lights let you know when the unit is requiring service of its pads, eliminating unnecessary servicing. Enjoy the comforts of a fully automatic system that is out of sight, and from a name that you know you can trust to give you top quality products, Honeywell!